← do you pop a pill when you’re feeling ill? Brief film interview with some bloke named Kevin Healey – released today by The Trauma and Mental Health Report. Big thanks from me – and my voices – to P.B. and the filmmakers for inviting me to do this – tis a great job you did . 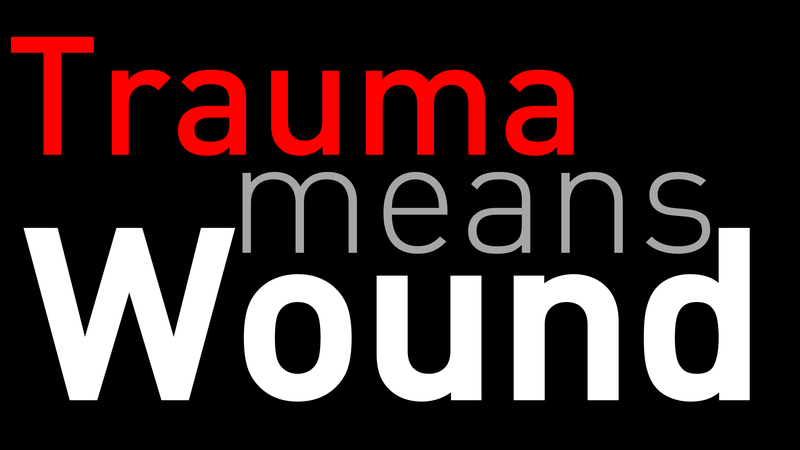 This entry was posted in Adversity, hearing voices, Ideas, psychosis and tagged hearing voices, Kevin Healey, Trauma. Bookmark the permalink. Is there a contact number that we can call about meets. 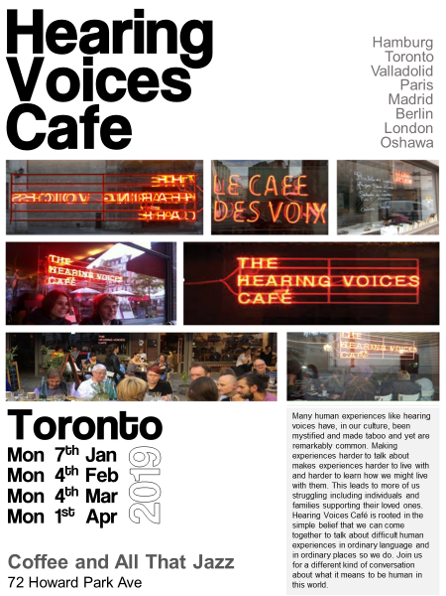 I have a son who is struggling with “hearing voices” Very Very interested in this. if you click on Contact us near the top of the page there’s a form to message us. it comes to me. If you let me have your email I can get back to you. Please know that I’m not therapist of any kind. 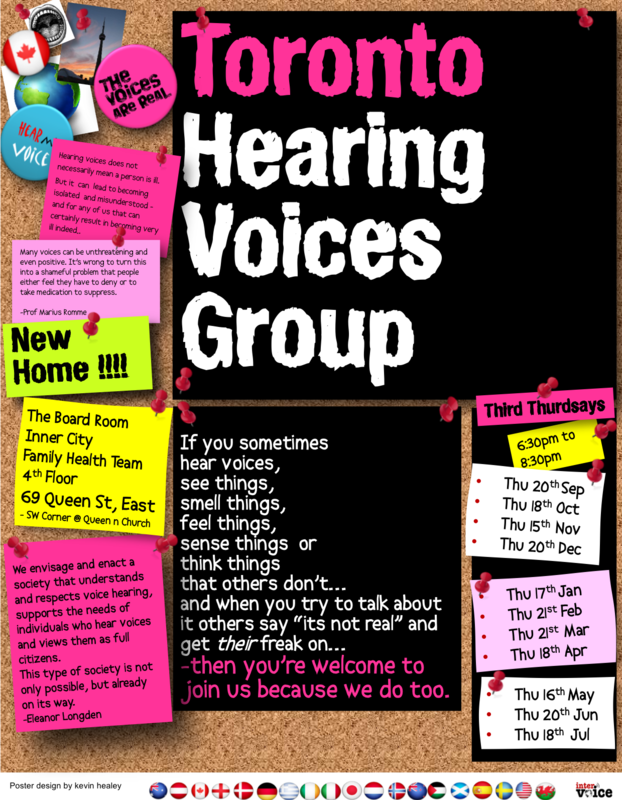 I have a client who is interested in attending a hearing voices self help meeting. She does not own either a computer or a telephone. However, if necessary she can make a phone call. Do you have a contact phone number she can call to set up a date for her to come to an upcoming hearing voices’ meeting? Its Kevin… hope you’re laughing like crazy. I get this question a lot from worker. We can make ourselves as available as we can – we are not funded so we don’t have a phone line. People can contact us through the Contact Us form at the top of the page. the easiest way to find resources about hearing voices – or frankly any non-medical approach is on the internet- its how this blog started, and we’re pleased to be part of that network of information. When I didn’t own a computer or a phone I found one I could use – in the library, the employment resource centre, wherever I could. When we find courage and support to take our first steps to find our path each next step comes to us a little more easily. It’s a sad reflection on our society, but it can be easier to find supportive people on the other side of the globe than on the other side of the street. We’re trying to make a pamphlet but finding time lately for that kind of thing has been a challenge. Our group meets the third thursday each month. Our next group meet is May 21st. 630 to 830pm. We don’t publicise the address – if you email me I can share it with you. Hope this finds you well..it’s one of your LLC comic buddies(Marc). Great interview! Very enlightening and extremely informative. especially liked your garage door murial â (Don’t) Be a silly goose â love it! Kind regards and keep enjoying your time with your daughter. And glad you like my artwork..
Everything you say in this video is true. Kudos to you. A couple of things to expand upon perhaps. I found that a lot of the ‘voices’ were memories from the past, and it became important to remember, and consequently re-mem-ber – i.e. put my past within a new perspective. I also benefited from doing Buddhist meditation. Unlike Christian prayer in which there is a dialogue between the ‘passive’ and ‘active’ Parts of the reflective consciousness, in Buddhist Meditation the accent is to emphasize the listening voice, the voice that is one of silent awareness, and to just accept and watch the active (read thinking, analytic mind, what have you) voice until it fades away. I generally think that the ‘voices’ in one head are of the active voice of rationality, and thus think I understand why this kind of meditation was of such benefit to me. I post the discussions of Guy Finlay, on my Facebook page in this regard. Whether you call it psychology or spirituality, I believe you are absolutely right on the most important thing: Only you can ‘heal’ yourself, with a little help from God, the Spirit, what have you, if only in the sense of having a belief that in the silence you will gain a more comprehensive perspective about what you are experience. This four minutes taken from well over an hour of footage – there’s allways more to say, eh?.